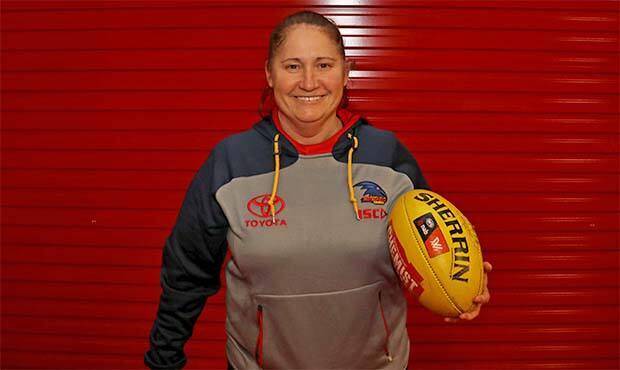 A leader in the South Australian Women’s football scene for nearly two decades, Narelle Smith is a SAWFL Life Member, premiership winner and experienced coach in the SAWFL and SANFL. Smith played 130 SAWFL games for Edwardstown and Greenacres before she turned her attention to coaching. She coached the inaugural SA Under-18’s team, guided Morphettville Park to back-to-back premierships and became the first female SANFL coach at Glenelg Reserves in 2018. Previously Smith was an assistant coach at Glenelg Reserves for three seasons while she had led the SA State Women’s squad and Glenelg SANFLW team. The SAWFL/Adelaide Women’s Footy League Under-18 best-and-fairest is named the Narelle Smith Medal in her honour. She was named a Life Member in 2010. McLeod moved from Darwin to South Australia to play with Port Adelaide in the SANFL, winning a premiership with the club in 1994. 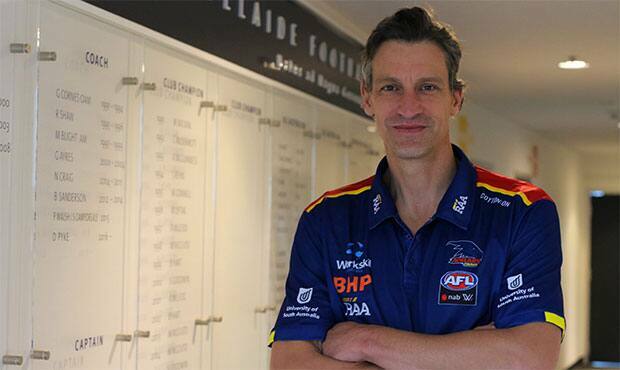 McLeod made his AFL debut for the Crows in 1995, winning a Rising Star nomination while quickly announcing himself to the football world. Renowned for his pace and creativity, McLeod began to dominate through the midfield and off half-back, and in 1997 and 1998 won consecutive Norm Smith medals as best afield in the Crows’ back-to-back premierships. McLeod won his first of his three Club best and fairest awards in 1997, and was named in the first of five All-Australian teams in 1998, the year in which he booted seven goals in the winning preliminary final. McLeod played a Club record 340 games for the Crows and retired with a host of medals and awards to his name. Widely regarded as one of the best players of the modern era, McLeod retired in 2010 following persistent knee troubles, before going on to play in the Northern Territory’s inaugural NEAFL flag in 2011. Playing awards: Premiership player at Adelaide in 1997 & 1998, Norm Smith Medal in 1997 & 1998, All-Australian in 1998, 2000, 2001, 2006 & 2007 (Captain), Malcom Blight Medal for Adelaide’s best and fairest in 1997, 2001 & 2007, Adelaide Team of the Decade 1991-2000, Adelaide Football Club Life Member, Indigenous Team of the Century, Indigenous All-Stars representative 2003 (Captain), 2005, 2007(C) & 2007 (C), Leigh Matthews Trophy 2001, Michael Tuck Medal 2003, International Rules Series captain 2007, Adelaide pre-season premiership 2003, Jim Stynes Medal 2005, Showdown Medal 2007, Polly Farmer Medal 2007, Dream Team captain 2008, Rising Star Nominee 1995, SANFL premiership player at Port Adelaide 1994, NEAFL premiership player at Northern Territory 2011, Australian Football Hall of Fame inductee. Coaching career: Assistant Coach at Norwood (SANFL), Senior Coach at St. Michaels College in 2017. Did you know …? Ten years after becoming Adelaide’s youngest Club Champion in 1997 at the age of 21, McLeod became its oldest winner with his third award in 2007. Caven played a combined 57 games for Fitzroy and Sydney as a defensive shutdown specialist, before moving to Adelaide ahead of the 1996 season. 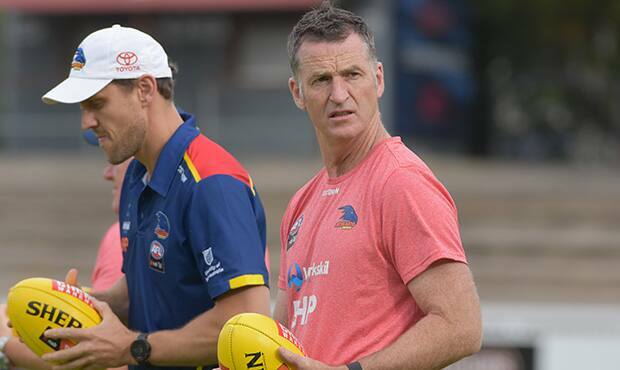 Caven established himself on the half-back flank after being trialled as a forward in his first season at the Club, going on to play in the Crows’ back-to-back premierships in 1997 and 1998. Playing awards: Premiership player at Adelaide in 1997 & 1998, Adelaide Team of the Decade 1991-2000. Coaching career: Senior Coach at Sacred Heart Old Collegians, Assistant Coach at Glenelg (SANFL), Assistant Coach South Australian Under-18’s. Did you know …? In his first game for Adelaide, Caven kicked a career-high four goals against his former club Sydney. 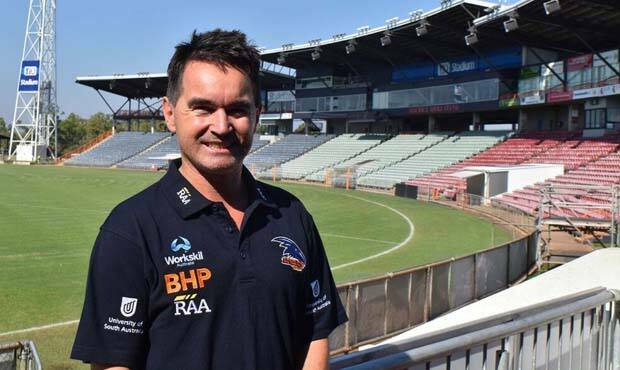 The 2002 Magarey Medalist amassed 311 SANFL games with Sturt and Norwood and has coached in Adelaide and Darwin, where he is based for the Crows AFLW team. 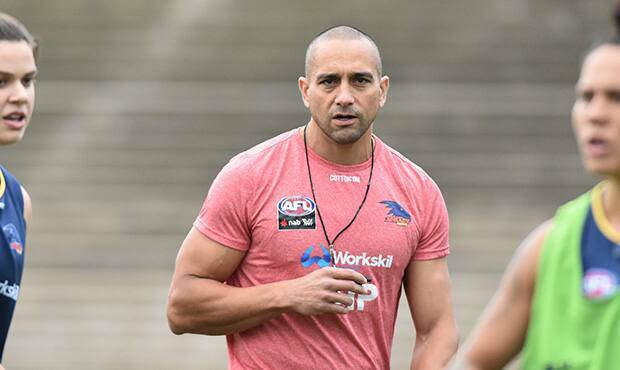 Weatherald leads the AFLNT elite development squad and works with Adelaide’s NT based players. During his 15-year SANFL career the 2002 season was a milestone as he claimed the Magarey Medal, SANFL premiership and best-and-fairest with Sturt. In 2018 he coached the NT Thunder in their inaugural VFLW season. Previously he coached the NTFL’s Waratah Football Club and was an assistant coach to the NT Thunder.